You can click and drag the bar to change the view! Beamshot photos were taken at least 1 hour after sunset on a multi-use path with no street lighting or other ambient lighting. 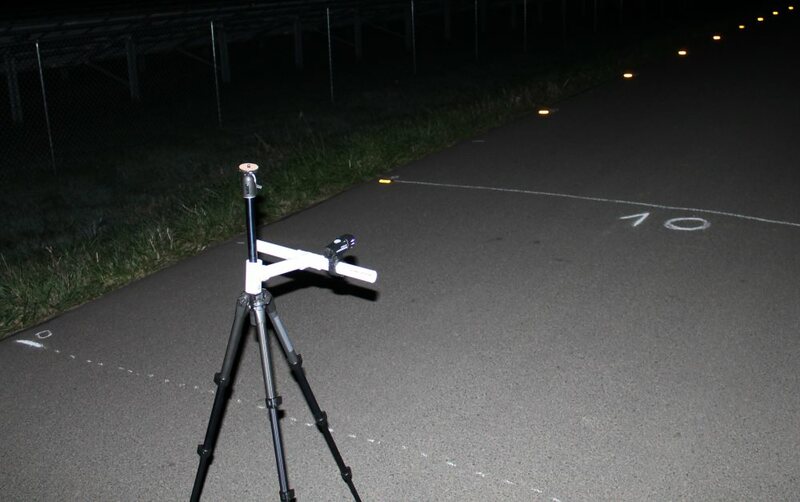 The reflective markers were set down in 10 foot intervals, starting 10 feet from the position of the light, and extend for 100 feet. The lights are mounted to a PVC tube extending from the tripod that the camera is mounted on. If you have suggestions for future lights to test, or changes to make the beamshot tests more helpful, let us know in the comments below!